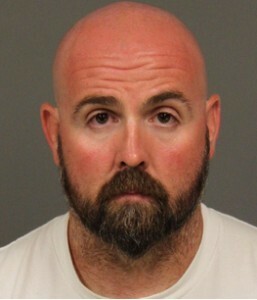 A San Luis Obispo jury acquitted two former prison guards Thursday of manslaughter charges relating to a deadly bar fight in San Miguel. The jury acquitted the defendants of the lesser charges they faced, as well. 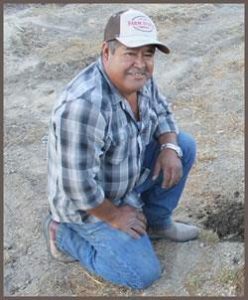 On Sept. 7, 2014, San Miguel man Alvaro Medrano, a 54-year-old vineyard manager and consultant, died during a fight outside the Elkhorn bar. Sergio Aranda, 36, and Travis Woolf, 37, were charged with voluntary manslaughter in the case. Following their arrests they were both terminated from the Salinas Valley State Prison in Monterey County. During the trial, prosecutors played surveillance footage from a neighboring business which showed Woolf punching Medrano several times in the head. After Medrano fell to the ground, Aranda ran over and appeared to kick and stomp on Medrano. Prosecutors said Aranda kicked Medrano in the head while he was lying unconscious. The defendants’ attorneys, Ilan Funke-Bilu and Gerald Carrasco, argued that Aranda and Woolf acted in self defense. Medrano died of blunt-force trauma. On Thursday, the jury delivered not guilty verdicts on charges of voluntary manslaughter, involuntary manslaughter and assault with force likely to cause great bodily injury or death. I happened to be at a public meeting Thursday night when I spoke to a woman who mentioned that she had just finished with jury duty that very day. I asked her if she had been on an interesting case and she said that she had been on a murder trial. I did not know about this case until she told me that the victim had left the bar and then later returned with a group of friends at which point the fight started. The juror told me she was surprised that the police and the DA’s office could not grasp that sometimes people deserve what happens to them. I still don’t know that much about the case but I found her comments unusual. activities at Corcoran were left pretty much unpunished and forgotten the CCPOA has been empowered even further. Well… we all get what we pay for, right? And when that spills over onto our streets and places of business? Well, you get what you pay for! What an ignorant comment. These men do not even work for the state anymore, the CCPOA had absolutely nothing to do with anything. I was in the courtroom and heard all the evidence and am very surprised the jury found them not guilty of all charges. If they found themselves in the same position again, the justice system has basically told these men that they should/can handle themselves in the same way. Their actions led to a man’s death, the fight was over, yet they hit and stomped on him. It’s sad that the witnesses had to be insulted and berated and the jury intimidated by Funke-Bilu. Evidently, his tactics worked. These men were found not guilty on all charges by 12 members of this community. If you were not in the courtroom and heard ALL the evidence, you should just stop. This story has been so one sided for the prosecution from day 1.